Welcome to our 1st challenge for 2016! 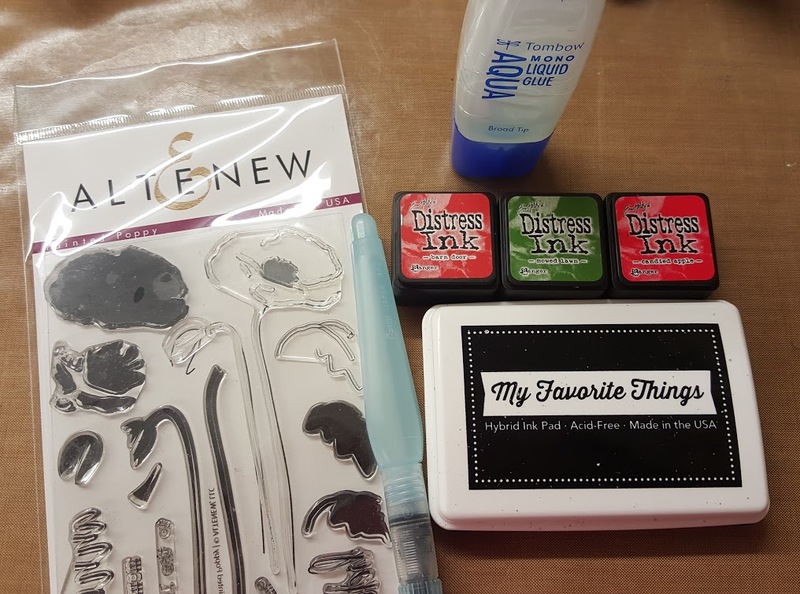 We hope you have as much fun as we have had creating with the Resist Technique. I can't wait to see all your creations. 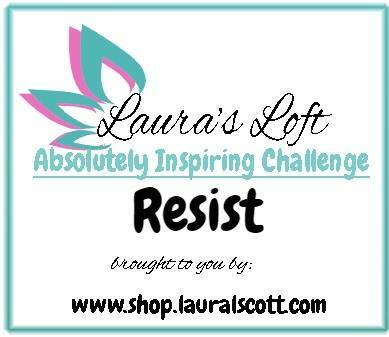 Laura's Loft is giving away a $25 gift card to the winner of the challenge! 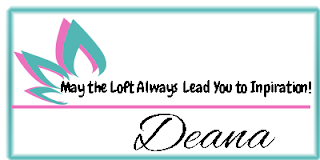 and a $15 Avery Elle Gift Certificate to the second winner! All entries need to be linked through Inlinkz by 11:55 pm Jan.29, 2016 . Here are some of my creations I made using the Resist Technique. I started this card with a piece of watercolor paper. 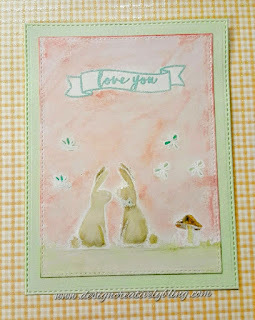 I stamped images from Avery Elle More Stories in versa mark.I wanted the bunnies to face each other so I took a piece of quilting template material and stamped the bunny on it. 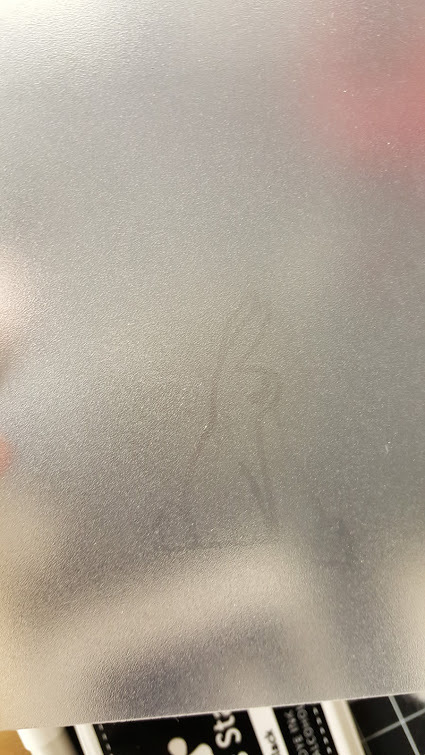 I flipped it over and put it in place and rubbed really well to transfer the reversed image. 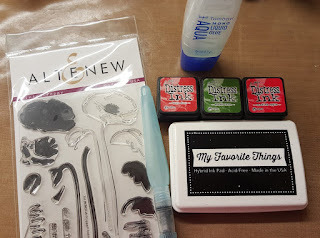 For my resist I sprinkled Wow Bright White embossing powder over my Versa Mark and heat embossed it so it would resist the ink. The sentiment and banner were heat embossed using SU pool party. I painted my background and images with a water brush and SSS inks. After I finished and it was dry I die cut my finished piece and a piece of MFT Cool As A Cucumber with MFT Blueprints stitched border. 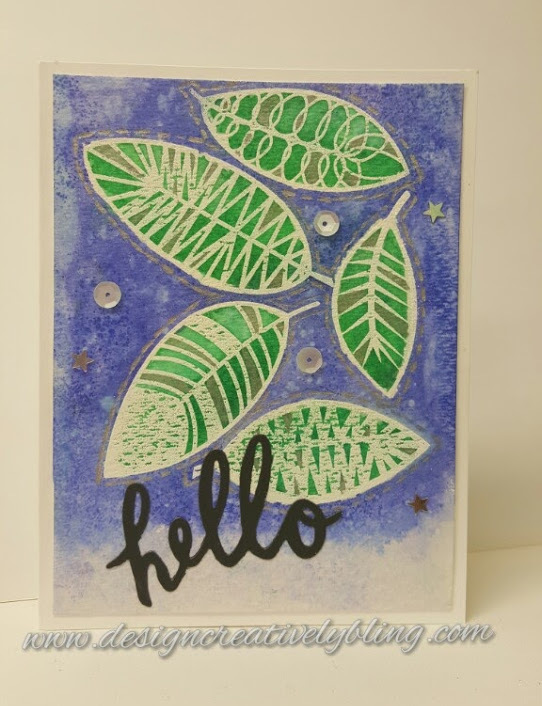 This card started with a piece of watercolor paper. Then I stamped Altenew Painted Poppies using Versa Mark. 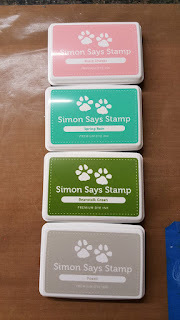 I heat embossed these images with Black Embossing Powder to create a resist. I wet the flower areas with a water brush and stamped them using Tim Holtz Candied Apple, Barn Door, and Mowed lawn. I water colored the background with Mowed Lawn. 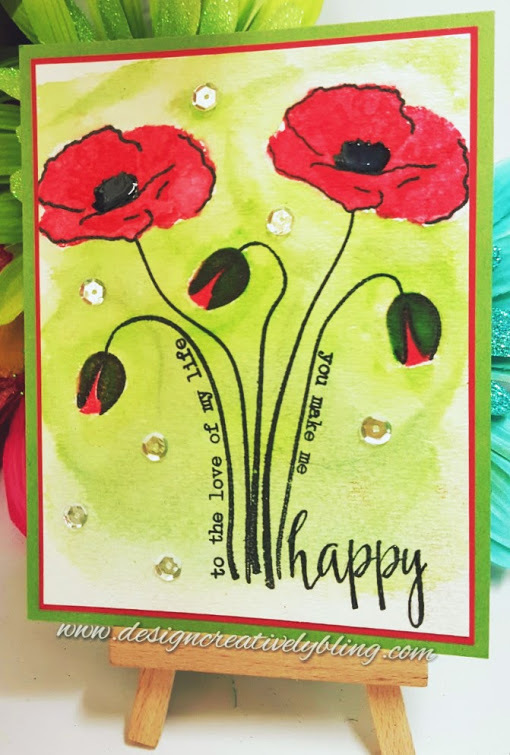 my sentiments were curved to go along the stems and were stamped with MFT Black. I finished it with some sequins and mounted it on MFT Wild Cherry and Gumball Green card stock. 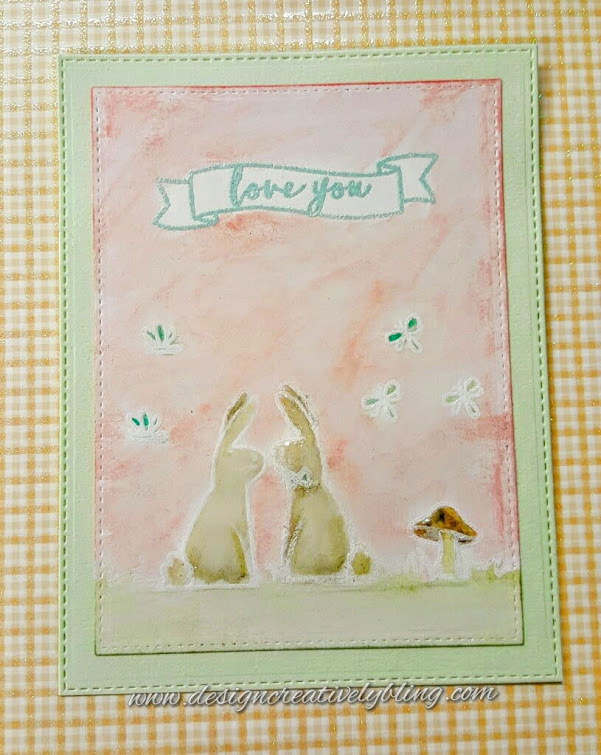 This card was also done on watercolor paper. 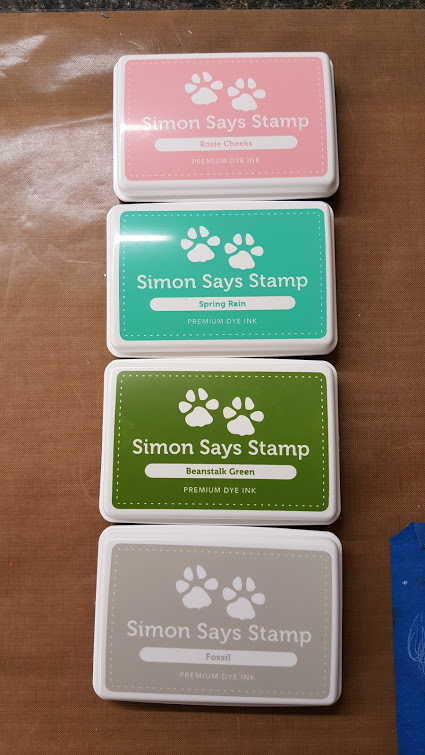 I stamped my images in Versa Mark and heat embossed with WOW bright white ep. 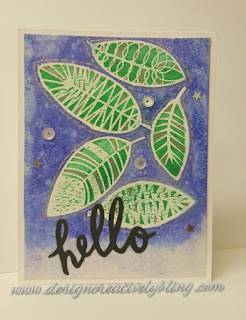 Then water colored with Tim Holtz distress inks in Lucky Clover and Blueprint. The sentiment is die cut from black card stock. I added sequins from Design Creative Bling Joyeux Noel mix. To finish I mounted it on a Neenah Solar White card base. I hope you enjoyed this challenge as much as I did and I'm looking forward to seeing your creations! Its always exciting to see what other people do! Click on any of the items below to find great deals on these New Products at www.shop.lauralscott.com.